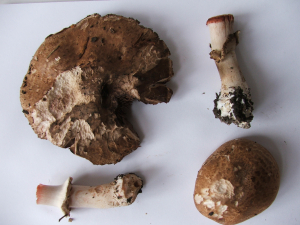 Observation - Agaricus silvaticus (Blushing Wood Mushroom) - UK and Ireland. Description: Found beneath conifer tree in urban park. Found beneath conifer tree in urban park.